Lincolnites go to the polls on April 9. Here's our DECODING THE BALLOT resource for the Star City's upcoming primary election. Like you, we believe that democracy is strongest when our society is engaged and informed. That’s never truer than when we make our way to the ballot box. During a primary election in Lincoln on Tuesday, April 9, Lincolnites will go to the polls to consider a host of candidates and also a major streets initiative. While the ballot may be briefer than last year’s state and federal elections, there is still plenty for Lincolnites to learn about their ballots before voting. That’s why we’ve built a new edition of our popular voting aid, Decoding the Ballot. 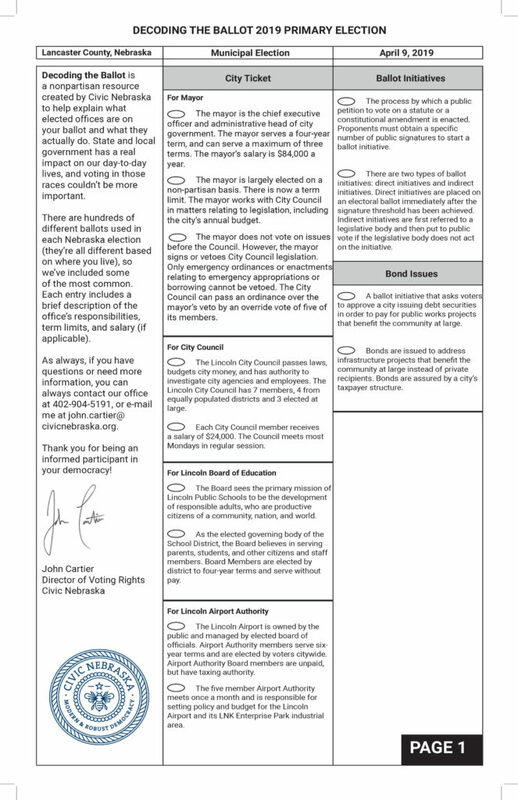 The 2019 version is an informational guide to the elected offices upon which Lincolnites vote, as well as a breakdown of those offices’ duties and responsibilities. We’ve assembled this resource so Lincolnites can pair it with the April 9 primary sample ballot, as well as independent research on individual candidates for the various elected offices up during the Lincoln primary. Decoding the Ballot doesn’t parse candidates’ talking points into sound bites — in Lincoln, there has been no shortage of voters’ guides in local newspapers, official campaign materials, and websites, or public forums to introduce candidates to Star City voters. Decoding the Ballot provides much-needed context about the duties and responsibilities of the offices that are entrusted to the will of the voters, so you can make informed decisions on who is best to fill each role.  Find our current Decoding the Ballot form here, and check the guide often as primary campaigns and candidates make their final pitches to the voters in the next few days. And be sure to bookmark the link and check the guide as we move past the primary and begin focusing upon Lincoln’s general election on May 7. Questions? Let Director of Voting Rights John Cartier know.